In 2012, J. Elliot Marketing in partnership with Women in Aviation International (WAI) announced the $2,500 Christine Reed Memorial Flight Scholarship. Christine passed away before she was able to reach her dream of becoming a private pilot. So to keep her spirit alive, J. Elliot Marketing offered the scholarship to women ages 16-30 who had already soloed and were working towards their initial pilot certificate. In February 2013, the first scholarship recipient was selected – Ms. Thea McKellar (Canton, GA) – an undergraduate student working towards a degree in Journalism. In March, Thea was kind enough to lend her time, so we could have the opportunity to get to know her better and understand more about what aviation means to her. Thea, now that you’ve been awarded the scholarship, how might it help you to achieve your dreams? I plan to begin flight training immediately with my current flight instructor at McCollum Airport, Kennesaw, GA. [I would use the funds] towards my goal of completing my private pilot’s license by the end of this year – specifically, towards fuel for the required flight time. This scholarship enables me to begin consistent flight training, while simultaneously getting my degree. This is the most cost effective and time efficient means toward the beginning steps of my greatest dream – becoming a pilot. 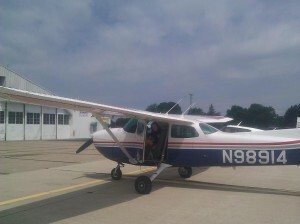 Oshkosh is like the flight mecca for general aviation. In 2012, you attended the Civil Air Patrols National Powered Flight Academy and were able to solo in just one week. How has your Oshkosh solo story inspired others? Aside from the generosity of my story being published on http://karlenepetitt.blogspot.com, and the kind comments from readers there, I love showing new cadets interested in aviation that visit my Civil Air Patrol squadron the wings on my uniform, and tell them how it’s possible for them to achieve the same thing I have. Why did you get involved in the Civil Air Patrol and how does it feed your interest in aviation? I joined because there is a huge emphasis on aviation, and is a great place to network with other aviation enthusiasts. It has been the single greatest proponent of my aviation training, beginning with orientation flights, to flight camps, and the opportunity to teach about aviation to other cadets… There is also a big emphasis on leadership in CAP, and I am realizing more and more how important it is for a pilot to possess good leadership skills. What’s the most excited thing you’ve experienced, aside from Oshkosh, that strongly impacted your interest in aviation? The Women in Aviation conference I attended last year in Dallas, TX. It was inspiring to see so many women with the same passion I have, and to draw from the experiences they shared. My favorite part was talking personally with a WASP named Pearl Judd. She told me to remember one word: perseverance. You seemed to have accomplished a lot at such a young age. Where does your determination for aviation come from? Flying matters to me because I think that, one, it’s fun! And two it is something that I can use to help others with. Volunteering my time doing something I love while making a difference in the lives of others would mean that I spent my life well. I guess you could say that I am trying to prepare for my future in a way so that I know it will be both professionally and personally satisfying. That takes work, direction, and determination. How was your experience abroad in Italy, and how has it changed you? My experience there was phenomenal and the best thing I could have done at that point in my life. After graduating high school, it was really nice to have some time to regroup from the past few years and spend time setting some goals and figuring out what direction I wanted my life to go from there. Aside from that, I was immersed in the language, traveled to quite a few cities (flooded Venice was my favorite! ), and really got to experience the true culture by living with a quintessential Italian family. Something that was a learning process for me was how differently they did things there, and realizing that just because it was different from how I was used to it being done in America, doesn’t makeit right or wrong; just different! Are there any experiences/lessons learned from your time abroad that have enhanced your ability to learn new things or deal with challenging situations often found in pilot training? Navigation through the metro system in another language! That was challenging, but I know it will definitely be something I will be dealing with in the future. Most of the time I traveled around the country I was by myself, so keeping situational awareness, being prepared, and making safe decisions for myself would probably be another thing I learned. Lastly, how does aviation fit into your future? Is this something you may pursue as a career or just a hobby? After finishing my degree and my Private License I will most likely transfer to a 141 school to continue flight training. Ultimately, Thea’s dream job would be to have a career as a pilot for XOJet. 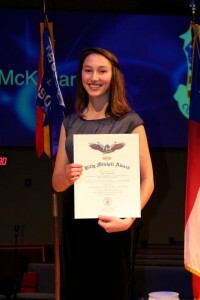 She plans to leverage her journalism experience to write for aviation publications. J. Elliot Marketing is proud to have Thea McKellar as the first recipient of the Christine Reed Memorial Flight Scholarship and looks forward to offering this scholarship annually. 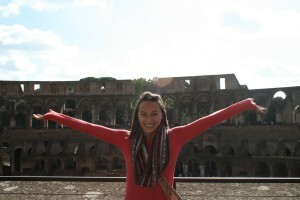 By helping others reach their dreams, J. Elliot Marketing keeps Christine’s spirit alive. Perhaps this minor step serves to inspire others to think of ways they can share their passions with the world and find ways to pay it forward.